The MP 165P.3 car audio woofers electro-acoustic parameters have been forged to give it the pure and solid sound of an authentic mid-bass, designed for high dynamic systems. The voice coil with a generous 14 mm height, has a nominal 3 Ω impedance in addition to an increased power handling. 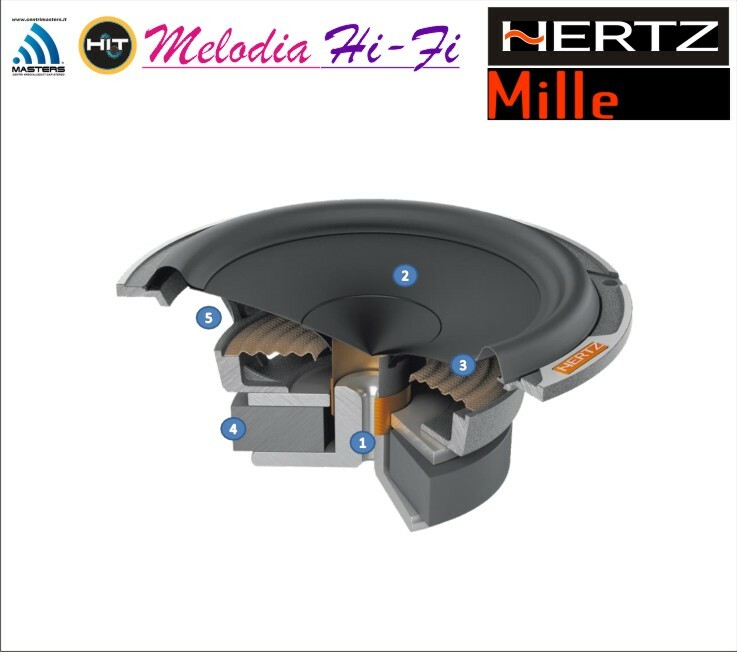 These features provide the ability to maximally exploit the power of the Hertz HCP and HDP amplifiers as well as all the 2 Ω stable electronics. The ferrite 95 mm diameter magnet enables a +/-4.5 mm voice coil linear excursion, ensuring utmost control at all times. The Boundary Free Surround moves a bigger amount of air, and the V-cone® profile improves the offaxis dispersion, the real in-car listening condition. The sophisticated aluminium alloy basket neutralizes the undesired vibrations.